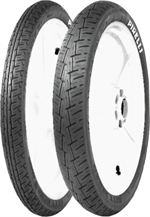 2.75-17 Front or Rear for a CT110 Rear tire for CT90 Rear Tire a bias construction with a load/speed index of 47P. Blackwall tubeless non reinforced tire. A tire for town and country journeys, safe and reliable on all kinds of road surfaces. 12mm Drain Plug Bolt-It is # 20 in diagram. Will work with any engine that has a 12mm drain. Replacement 14mm Lock Washer for the clutch area. Will fit: CT70 1970-1994; Z50A 1976-1978; Z50R 1979-1999; SL70 1971,1973; XL70 1974-76; ATC70 1973-74,1978-1985; TRX70 1986-1987. It is #18 in the diagram. Designed for 1971/K3 CT90 but will work on all CT90's. Our decals are made from vinyl with dual layers, we use a thin protective over laminate. All decals have an extra layer of film to make them waterproof and clear-coated so the color won’t run. Clone CT70 Fuel Tank Rubbers these are meant to mount onto the clone frames but can be modified by the customer to work on your build. Clone CT70 Rear Brake Return Spring for the foot brake lever. Overall length is 2 3/4 inches long. Actual spring length is a 1 inch. CNC machined aluminum chain adjusters for the standard Honda swing arm. These are just a little thicker and will use more of the axle threads but will just make it for the pin hole in the axle. Complete gasket sets are OEM replacements, including all necessary engine gaskets, O-rings and valve guide seals to rebuild a complete engine. Please see the full website description for a complete list of gaskets. CT70 1977-1979 Stock Replacement Harness with all the same connectors as your stock harness. Honda Intake Valve will fit CT70 1970-1977, ATC70 1973-1974, CL70 1969-1972 NS xl70 1973-1975. It is #6 in schematics. Please note that the Exhaust Valve (#7) is Discontinued from Honda. 6v Ignition Coil designed to fit the stock CT70 K0-81 models. Will plug into your stock harness or new 6v harness-http://mytrailbuddystore.com/wireharness-6voemreplicas.aspx. Overall length 4inches- mounting pegs 2.5" center to center M6 washer/nut. Replacement Foam Air Filter (Element Air Cleaner) that will fit Z50A 1972(K3)-1978 and the Z50R 1979. It is # 2 in the diagram. Please note: it is the only part for the air cleaner section available. Front Fork Boots for Z50A 1969-1978, CT70 1970-71, no chrome ring, sold individually. This is the spring set for the Clutch Disk Set that you need if you have the CT70 from 1976-1982 and 1991-1994. We designed these replacement handlebar knobs to work with the stock Ct70/Z50 handlebar clamps. Even if you are using our tall bars but your stock clamp- these will work. Depending on your style top plate- you may or may not need a washer (not included). Honda CT70/Z50A Exhaust Shield Bolt Gasket designed to protect the chrome plating of the heat shield underneath the shield bolt. #6 in the diagram. 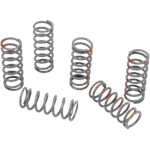 Will fit: CT70 1970-82; Z50A 1970-78; Z50R 1979-91; CT90 1966,1969-72,1974-79. Screen-printed T-shirt with standard fit. 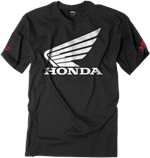 Honda Big Wing design on the front with Honda logo on arms. Official licensed product.